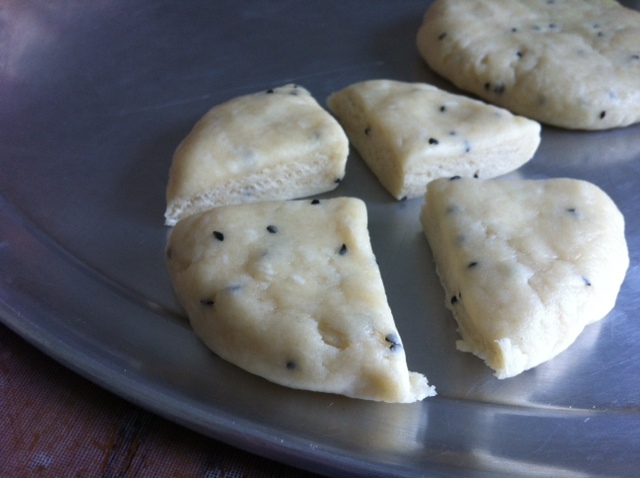 These are regular Yemeni cookies, and they are sweet and savory. Makes a great mid afternoon snack with a cup of Yemeni tea. They store well. 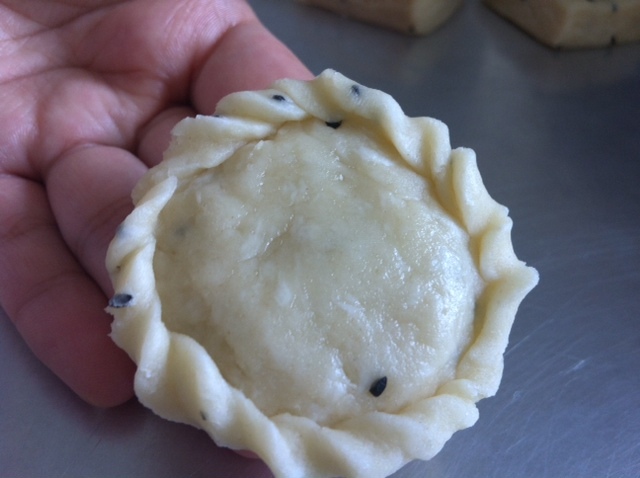 I am going to include two methods of making this cookies–a traditional one and a modern version that a Yemeni sister from Michigan showed me using “Jiffy All Purpose Baking Mix” So say the magic word “Bismillah” and let’s begin. 1) 2 and a 1/2 kilos of white flour [have yet to measure in cups to make it easier for everyone Insha Allah] You can also use wheat flour if you like. 6) 1/2 kilo of ghee [or butter melted] –you can substitute with Canola oil. I use a mixer, but traditionally this is all done by hand. Mix the dry ingredient together–flour, salt, sugar and yeast–and then place in the bowel of the mixer. Add the warm ghee/butter/or oil and mix well. Crack the eggs, and mix in one cup of water with the eggs. With the mixer on add the water and egg mixture until a firm dough forms–it should be firm in that you can shape it as you wish. 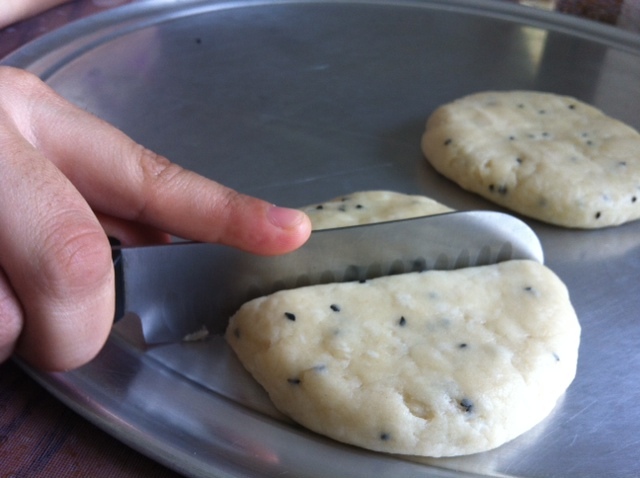 Also, the dough should leave a trace of oil when you press it against your palm. 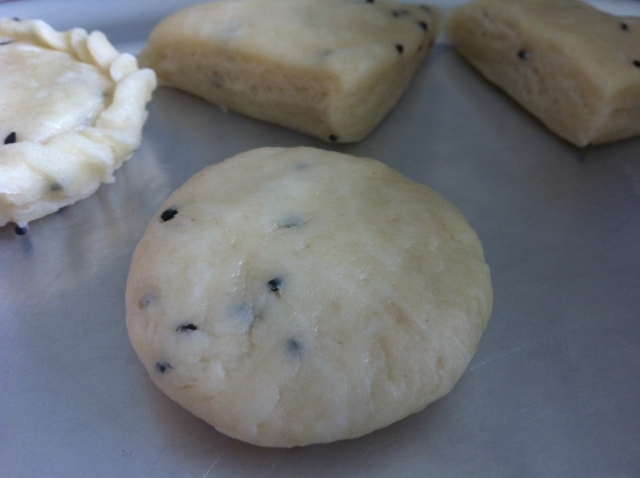 Now you can make the dough into the shapes you want. 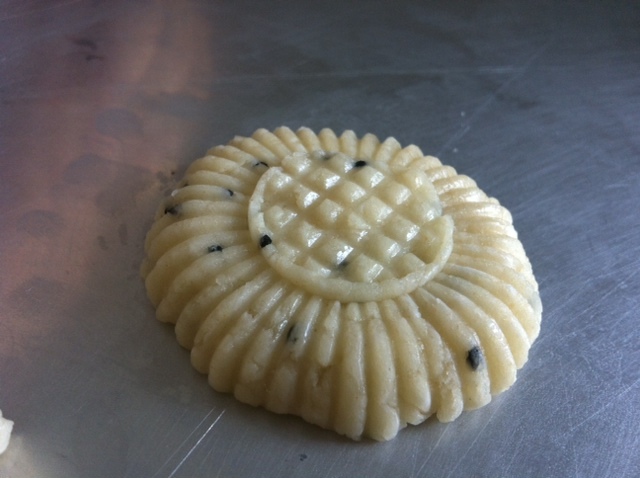 Some use cookie molds, but for the most part shape by hand. Will include the shapes at the very end of this post Insh’a Allah. 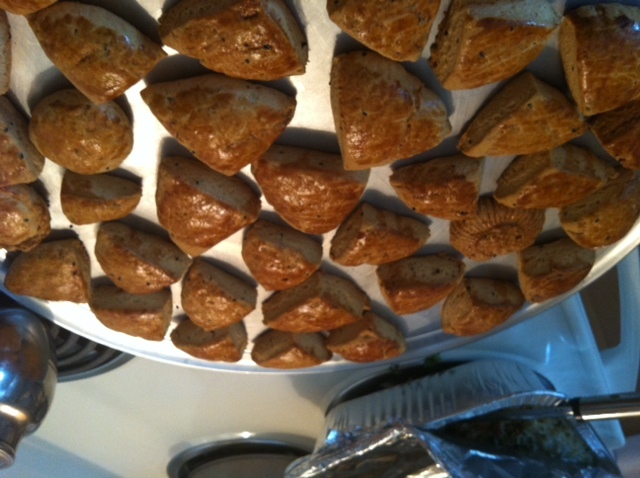 After you have shaped them and arranged them on a well greased cookie sheet, cover and let them rise for an hour . Then brush with a mixture of egg yolk and milk and bake in preheated 400 Fahrenheit degree oven until golden brown and firm to the touch–about 40 minutes. Let them cool and then store in an airtight container. For the modern version recipe please click here. Dear Lamya: Thank You for posting! I tried the cookies this weekend and loved them. It is more like a biscuit. The recipe is also very versitile. I tried a blend of flour and cornmeal and it was great. I’ll be looking forward to more recipes. I remember eating these when I was in Yemen. Been looking for the recipe for ages, thanks! Glad I could be of help. I know how it feels when you’re looking for a recipe for a long time and then finally find it. It’s pure bliss to me. That’s why I put this blog together–i was tired looking and asking around for recipes. I needed them all in one in place, so I and others could benefit. I just hope they turn out as delicious as when you had them in Yemen. Let me know how they turn out Bella. I tried this yesterday ; it came out wonderful! Taste was so good! The only thing I can’t do is get the dough to a perfect ball like how I’ve seen in Yemen to do the second design; any suggestions? Would love to make these for ramadhan! Is it possible to get the measurement in cups? You mean for the Jiffy All-Purpose Mix? I’ll have to measure it into cups the next time i get some In Sha’ Allah. Use a converter on line and see if that works. I’ll try as well and post if i find it out okay. Salam I just wanted to know which flour do use for the kaak? Also been trying to make sebaya could you tell me how to make the mixture and which flour you use for it. I do not want it to turn out too greasy. Do you think it would be OK to replace the olive kill with butter or do half butter and half olive oil for the jiffy recipe? I believe it will work Maryam. The olive oil might change the taste somewhat. Maybe use a less flavorful oil instead with the butter. is this also called thamool? or is thamool a totally different thing? No this is not Thamool . 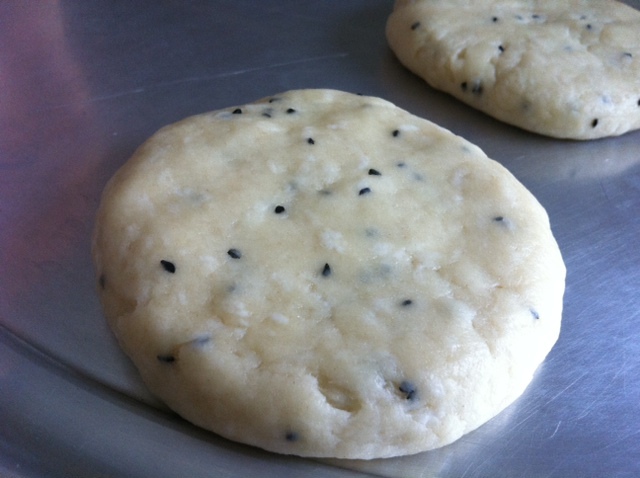 In Sha Allah if I get my hands on a good Thamool recipe will make and post In Sha Allah.